The Manager holds Early Years Foundation Degree and all of our Early Years Practitioners are qualified NVQ Level 3, safeguard trained every two years, first aid and food hygiene trained . Each child is allocated a key person responsible for assessing, planning and monitoring their development. Your child’s record is available for you to view at any time. 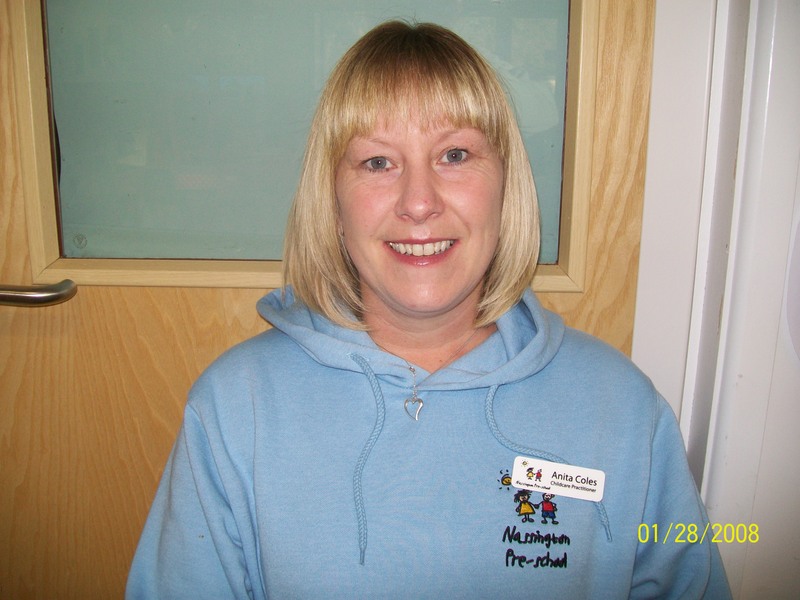 I have worked at Nassington Pre-school since 2003. I enjoy the challenge of constantly moving the setting forward within the EYFS framework. I completed Early Years Foundation Stage Degree at Pen Green Children’s Centre, Corby. I feel very proud to be working for Nassington Pre-school. Qualified Early Year’s Foundation Degree from July 2013. I have worked at Nassington Pre-school since 2006. I have a Level 3 in Childcare and Development and I am also the Enhanced SENCO co-ordinator (Special Education Needs). The working environment in our purpose-built building is fantastic, it has enabled us to continuously improve our setting where children love to learn and play. In February 2011, I completed my NVQ Level 3 in Childcare, Learning and Development. I have seen many changes throughout my time working here, most important being the new setting we have. The children now have this wonderful setting where they are able to achieve to their best of their ability and explore new activities without any restrictions. Sophie started at Nassington Preschool under an Apprenticeship scheme in 2013 and qualified in June 2015 as a level 3 Early Years Practitioner. She is now studying an Early Years Foundation Degree at Pen Green research center. The practitioners have the appropriate qualifications and have a clear understanding of their roles and responsibilities, suitable persons checks are completed and we ensure that all staff training is kept up to date.